The Genting Casino brand has long been a leading traditional casino operator, with an impressive 42 venues across the UK, loaded with world-class slot machines. But these days the fun doesn't stop once you're home, or even if you can't afford a full-blown night out – all thanks to the online Genting Casino. The brand's Malaysian roots have seen it become a major player not just in the UK slot market but across the globe, meaning players can hit the slot machine lounges with full confidence that they're playing with one of the most honourable names in the gambling industry. 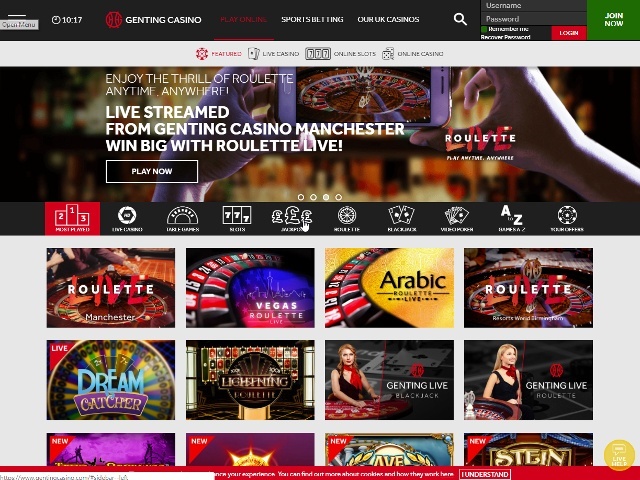 It came as no surprise that as a leading name in the offline gaming business, Genting Casino selected the equally-as-famous Playtech as the software provider to support the site's infrastructure. This instantly provides players with a very robust casino interface via laptop and mobile, with looks and style that give it a high-end feel and look. In terms of the slot games, titles are delivered by Playtech in addition to IGT – two brands who continue to impress with their range of themes, graphics and immersive features. While some casinos may offer a more diverse range of games and slots in terms of developer numbers, Genting is clearly focussed on working with a select range of high-end software houses. While the online casino might not match the £150 million Genting Resorts World Birmingham, the brand has done a fine job of creating a top online casino. The site looks great and has a real feel of glamour to it that's complemented by a simple elegance when it comes to navigation and registering for a new account. 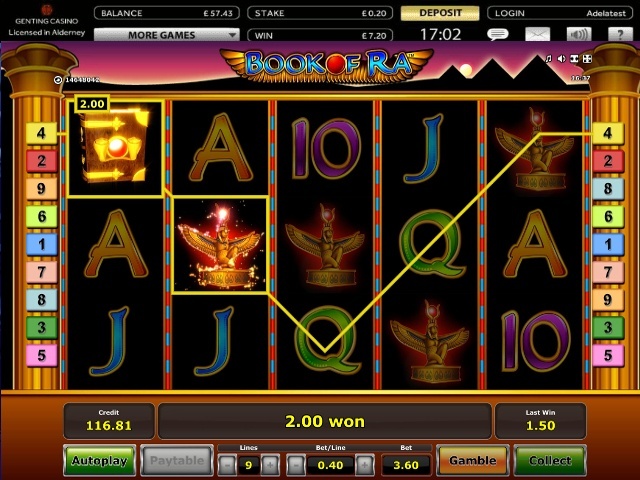 In terms of locating the slots, it's simply a case of clicking on the 'Online Slots' tab; once inside, just click again for 'Latest Slots', 'Jackpot Slots', 'All Slots', or search by A-Z. Genting Casino claims to offer over 300 games across all genres, but in reality it's likely to be a little under that figure if you have the time to count them all. However, what's for sure is that there are well over 100 high-slot machines from Playtech and IGT – and with a range of classic slots and video slots, that's likely to quench the desires of every slot gamer from here to Timbuktu. In addition to fun slot themes and hot new slot releases, you're also guaranteed to find iconic slot titles such as Baywatch, Family Guy, Chicago, Inspector Gadget and King Kong Cash. Does Genting Casino Offer Progressive Jackpot Slots? Genting definitely delivers for jackpot gamers. 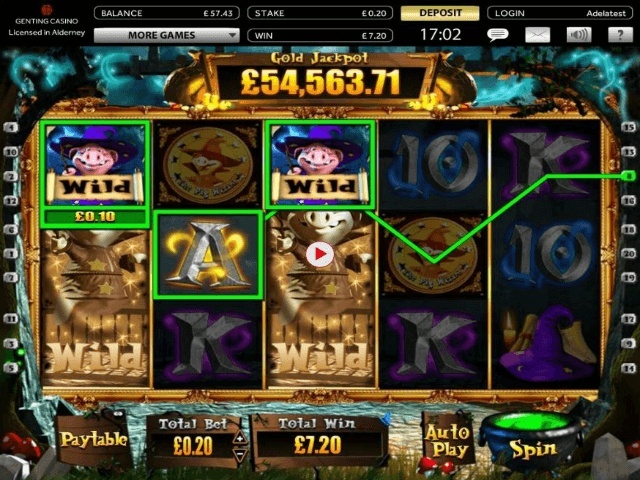 Just clicking on the 'Jackpot' icon inside the 'Online Slots' lounge reveals all the latest jackpot games via bright banners. The lineup includes progressive jackpot slots such as Fortunes of Ra, Reel King Potty, Golden Goddess, From Dusk Till Dawn, Wolf Run and Romeo and Juliet. You'll usually find at least 25 jackpot slots on offer at Genting Casino, with the potential to win million-pound jackpots as part of Playtech and IGT's progressive jackpot networks. Can Players Demo Genting Casino Slot Games for Free? 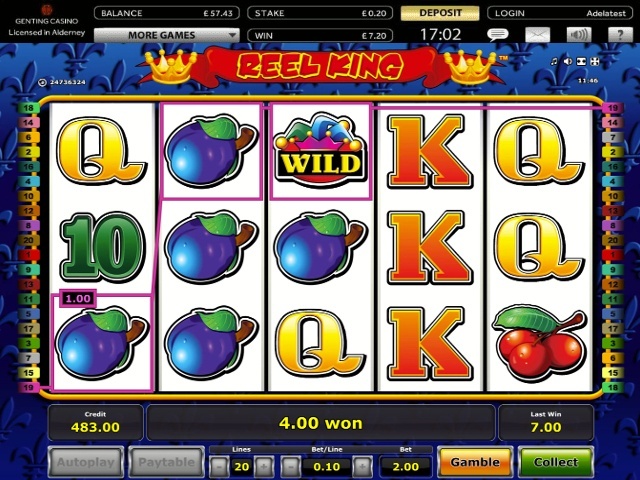 Players wanting to sample the slot games at Genting Casino for free need to signup for a account. Once you've created a free account, you can check out the slot games without making a deposit. That's not quite as good as playing on-the-fly before registering, but it only takes a couple of minutes to have 100-plus slots to demo. It's fair to say that Genting Casino probably won't win any awards for the total number of banking options available when compared to some online casinos, but that's unlikely to deter players unless they're looking to use a niche banking service. Expect robust standard banking via debit and credit cards and fast three- to four-day withdrawals for UK gamers. Bonus seekers are well catered for at Genting, with the site typically offering deposit match bonuses for new accounts, plus extras such as free spins. It's also well worth checking the 'Your Offers' tab once you're signed-up, as it features weekly promotions, new game specials and reward points information. With a 50-year casino industry heritage to protect, Genting is hot when it comes to first-class player support and security. In addition to ultra-safe Playtech software and the latest banking technology, Genting offer fast live chat, call bank and email support, rivalling most online casinos for speed and service hours.